I read about this at The eBook Reader today: Barnes & Noble has closed the “loophole” that allowed users to sideload apps onto it with their newest software update for the Tablet. Now you can only use B&N-approved apps. They are locking everyone in to their own App Store so that you have to buy your apps from them, and you can’t get any competing ebook software. That’s only understandable if you’re into forcing people to buy only your products. This move just seems like a punishment to their own users. This really paints B&N in a negative light for me. I probably will avoid ever purchasing anything from them again. 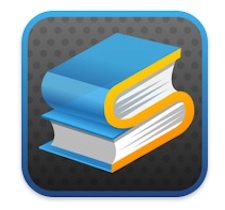 I don’t know anything official, but it seems to me that the Stanza ebook app is near its end. Today I was doing some research on ebook apps and wanted to look something up on the Lexcycle website. It’s down. I don’t know if it’s just temporarily down or if it’s gone for good. However, signs point to Stanza going away for good. A while back I heard some reports from Stanza users saying that Lexcycle had stopped responding to all support questions about the app. Since I couldn’t get to Lexcycle’s website today I Googled “stanza” and found the iTunes Stanza page. Interestingly, they point to getsatisfaction.com/stanza for support, which is a community forum that doesn’t seem to be affiliated with Lexcycle. And then I remembered that last month I’d read something about how people got all excited about a new Stanza update, followed by a disappointing announcement that Stanza would no longer be getting any updates at all. A blogger reported on that here. Amazon bought Lexcycle in 2009, so apparently, like they did with Mobipocket, they are slurping up ebook apps and spitting them out into the Kindle. Now, personally, I am not bothered by Stanza going away. I never liked it that much. But it does make me wonder how many small companies Amazon is going to kill in the name of the Kindle. They have so much of the market share already that they really don’t need to snuff everyone else out. I don’t like that kind of Wal-Mart style business operation. The big ebook companies have now released tablet versions of their eReaders. Amazon has the Kindle Fire, Barnes & Noble has the Nook Tablet, and Kobo has the Kobo Vox. They are all Android tablets and come with a lot of apps pre-installed. However, unlike normal Android tablets, they don’t have full access to the Android Market. Instead it seems that each company has come up with their own smaller app market, where you can choose from a specific selection of apps. This is significant because it means that if you bought eBooks from other ebook stores that use Adobes DRM, you wouldn’t be able to open them in the correct app on your tablet (which is usually Aldiko). Aldiko and other ebook apps are, not surprisingly, left out of the pre-approved list of apps. However, it seems that people are already finding easy ways around this. For one thing, I noticed that on the Aldiko website they will now email you a link to download their app if you sign up. You can see that at http://aldiko.com/download.html. I don’t know for sure, but I think you could use your tablet’s browser to go to the link they send you and download it directly to the tablet. If anyone has tried this, I’d be interested if you could leave a comment and let me know how this worked. I also saw on the blog Good Reader that they posted a way to get Aldiko on your Kobo Vox. Check that post out at How To Copy eBooks With DRM To The Kobo Vox. Their method involves downloading the app from a link that they have on their website where they host the file. I’m not sure if this is condoned by Aldiko, but they probably don’t care. On Google+ I found a post from Aldiko saying that you could download the app and sideload it onto your Kindle Fire. There is also this post from a user who says he did it successfully and it was easy. And to round it out, The Digital Reader has a post saying that the Nook Tablet can run Aldiko in much the same way: by installing it through the browser. The nice thing about this is that it doesn’t require anything like hacking, and should be easy enough to do even for someone who isn’t a big techno geek. If you are reading this and have installed Aldiko on any of these three devices, please leave a comment with your experience. I think that would be a great help to others who are interested in doing this. Just a quick post today to show you something I came across. This article claims that some hacking can be done to the Nook Touch to allow it to use the Kindle app. This would be useful for those who want to buy the new Nook Touch but also have some Kindle books. Amazon is very restrictive about where their Kindle ebooks can be used. If you buy a Kindle ebook from Amazon.com you can only read it on your Kindle or in the Kindle app, which is not made for e-readers other than the Kindle. But with this hack you can apparently use the Kindle app on your Nook. Personally, if I owned a Nook I wouldn’t want to mess with it this much, but that’s just me. I know there are a lot of people who love this kind of thing.